07/17/18, 06:27 AM | Solar & Wind, Energy Storage & Grids | BioSolar, Inc.
Santa Clarita, CA - July 17, 2018 - BioSolar, Inc. (OTCQB:BSRC)("BioSolar" or the "Company"), a developer of breakthrough energy storage technology and materials, today commented on the market demand for cost effective battery components, as prices for commonly used materials and minerals continue to skyrocket. Recent reports state that the price of lithium has soared by more than 300% in the past two years, cobalt by 129% over the past year, and nickel reaching a two-year high. The price for these components is driven by the tremendous demand for electric vehicles, one reflected by automaker BMWs recent announcement to award a contract worth over $1.16 billion to Chinese lithium-ion battery maker Contemporary Amperex Technology Ltd (CATL). To combat the rising costs of battery components, BioSolar has continued its development of a silicon anode additive material technology suitable for high-growth industries such as electric vehicles and consumer electronics. Recently, the Company partnered with Ferroglobe, a global leader in the supply of silicon metal, to jointly develop and market silicon anode materials incorporating BioSolars silicon additive technology, potentially demonstrating commercial viability of the product. "We believe that a low cost, high capacity lithium-ion battery component would have an immediate impact on several industries experiencing high-growth but facing constraints in mineral availability, which in turn impacts manufacturing costs and ultimately the price for the end user," said Dr. David Lee, Chief Executive Officer of BioSolar. "To be successful, BioSolars Si anode material technology must prove it is commercially viable, representing a solution that would bring down costs for companies building electric vehicles and personal electronics technologies that depend on widespread adoption from consumers." The industry standard for Si anode components remains Si nano-particles, despite the difficulty of manufacturing raw Si nano-particle materials which remains a costly challenge. By contrast, Si micro-particles are easier to manufacture at a significantly lower cost. Unfortunately, anodes made from Si micro-particles are more prone to damage during battery charging and discharging due to volume expansion, thus not yet commercially viable. BioSolars innovative additive technology is designed to solve this problem by increasing capacity while simultaneously reducing cost. BioSolar is developing a breakthrough technology to increase the storage capacity, lower the cost and extend the life of lithium-ion batteries. A battery contains two major parts, a cathode and an anode, that function together as the positive and negative sides. BioSolar initially focused its development effort on high capacity cathode materials since most of today's Li-ion batteries are "cathode limited." 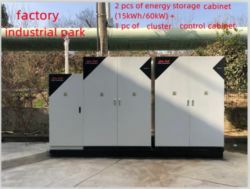 With the goal of creating the company's next generation super battery technology, BioSolar is currently investigating high capacity anode materials recognizing the fact that the overall battery capacity is determined by combination of both cathode and anode. By integrating BioSolar's high capacity cathode or anode, battery manufacturers will be able to create a super lithium-ion battery that can double the range of a Tesla, power an iPhone for two days straight, or store daytime solar energy for nighttime use. Founded with the vision of developing breakthrough energy technologies, BioSolar's previous successes include the world's first UL approved bio-based back sheet for use in solar panels.